Sometimes we need to send large files such as a big bunch of images or a long video to our friends, family or colleagues through internet. Our email services are limited when it comes to file attachment size. And when you start your hunt for best sites to share large files for free on internet you will find many a number of services that can transfer your files. They differ in file size limits, storage, file-life etc.Almost every file sharing service now provides at least 2GB of space freely for uploading, and sharing the files, but what we need to take into factor is the file-size-upload-limit. So today we present you with 7 best sites to send large files. Google Drive is one of the best chosen cloud services as you can link your uploaded files with many other Google services easily. You have 15 GB of unified free storage to share between Google Drive, Gmail, and Google+ Photos. And specifically for Google Drive you have 5 GB.There is an upload limit for single file size as 5GB and 10GB for paid users of Google Drive. The best advantage of Google Drive storage is that you can upload and share the link of the file directly in Gmail while composing. 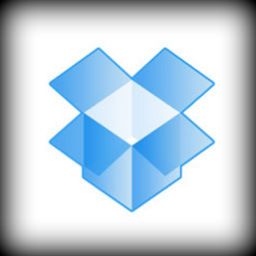 Dropbox is the major player in cloud storage and offers a whole lot of features and security. You can easily upload and send the links to your friends using the web uploader or using their mobile apps. Dropbox provides 5GB of free storage and a wide range of sharing options. You can share files using the links or using a Dropbox Shared-Folder if the other person uses Dropbox too. Files uploaded to Dropbox via the desktop application or mobile apps have no file size limit. Files uploaded through the website have a limit of must be 300 MB. · File life: Unlimited (desktop application or mobile apps) & 300 MB via website. Microsoft provides SkyDrive with 7GB of free storage and has seamless integration with Wiondows 8. SkyDrive comes with a file upload limit of 2GB. You can easily upload your files by just a right click and send to SkyDrive option, thus sharing the file becomes easier. Folders can be easily synced and shared in Windows with SkyDrive. Mega is the rebirth of Kim DotCom’s file storage idea. MEGA stands for "MEGA Encrypted Global Access". Mega offers 50GB for your storage and has an upload limit of 300MB. With a bold and new interface the cloud storage is simply above the line by providing free encryption to all free and Pro users. One of the coolest and simplest file sharing sites we found on internet. With a straightaway narration, it’s very easy to transfer files to anyone. WeTransfer provides 2GB of free storage and has an upload limit of 2GB too. So you can directly click and upload a 2GB file using its website and can get a link to share. 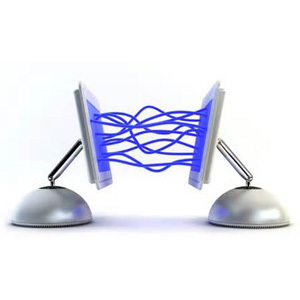 You can send files to up to 20 people per transfer using their free service, that means for a maximum of 20 times your file can be downloaded. 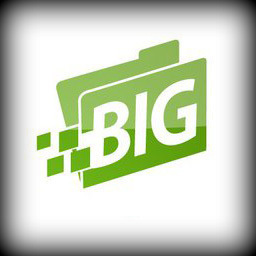 TransferBigFiles.com is one of the “bold” services which provide a whopping 20GB of free storage and equally comes with an upload limit of 20GB for a single file. The files uploaded to TransferBigFiles.com using the free service stay on their servers for 5days and the files can be downloaded for only 5 times. So this would be coolest service if you have less number of receivers of the file and have quick time to download at that side. FileDropper offers 5GB of free space to upload your files and also the maximum file size limit is also 5GB. Comes with simple interface and says that your files are kept forever as long as they are being downloaded. If the files are not downloaded even once within 30 days consecutively they are removed. FileDropper comes with better file-life strategy which is best when you have to sharethe file frequently in regular intervals. · File life: Files not downloaded even once within 30 days consecutively are removed. If not they stay forever.